B&B Attachments, the UK’s leading supplier of forklift truck attachments and exclusive distributor of KAUP equipment, has responded to requests from its customers to provide a solution to this industry wide problem with the LayerMaster clamp. The LayerMaster has been specifically designed to cope with palletised loads that require splitting for easier handling and storage. Its adaptability allows the LayerMaster to lift a third of a 2400mm high pallet at a time, or alternatively just a single layer of boxes. This enables the load to be quickly broken down or built up by clamping single or multiple layers. This ensures that products are handled quickly, safely, and with a minimum use of resources, thus preventing damage to the load. LayerMaster is unique in the way it clamps on all four sides of the product, which means that only the slightest amount of pressure is required to hold the load. In a situation where a number of different layer weights or product types are required to be handled, a special pressure valve can be supplied to select three or four different pressure settings, which can be pre-set by B&B’s experienced engineers. The Layermaster comes in three different mounting types to best suit the site’s specific requirement and forklift fleet. 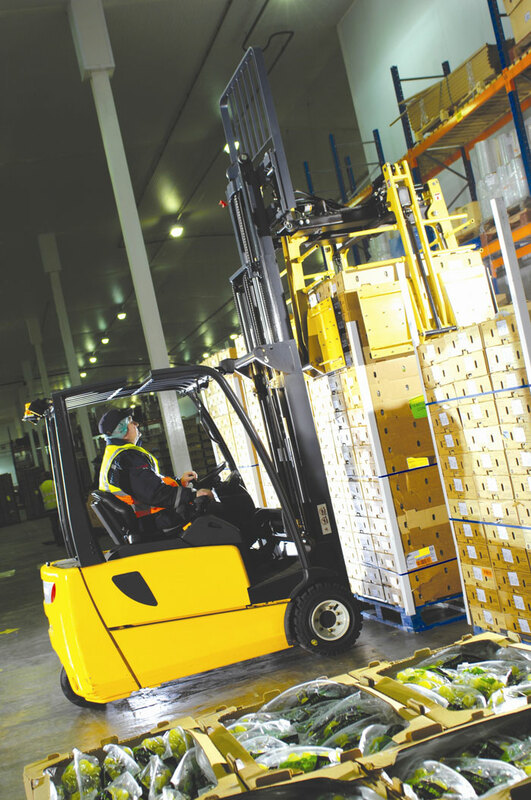 The fork mounted version allows LayerMaster to be transported to goods anywhere in the warehouse, and can be fitted to existing equipment. It has been designed for easy removal, thus ensuring the truck can quickly revert back to its standard duties. LayerMaster is also available as a side mounting version for businesses requiring layer picking of cased products. The side mounting version, operating with a guided rail system, allows the LayerMaster to lift up to 2400 cases per hour. The carriage mounted version is ideal for continual use on the lift truck. This version is also supplied in a static version which comprises of a complete system with lifting mast, power pack and control panel. The Layermaster is now widely used and can be seen at most fresh produce sector and major supermarket distribution centres, with most sites adopting both the static and fork mounted versions into their operation. The speed and versatility of the system has been proven to help businesses reduce handling times and labour costs, and significantly increases safe working practices and productivity levels.